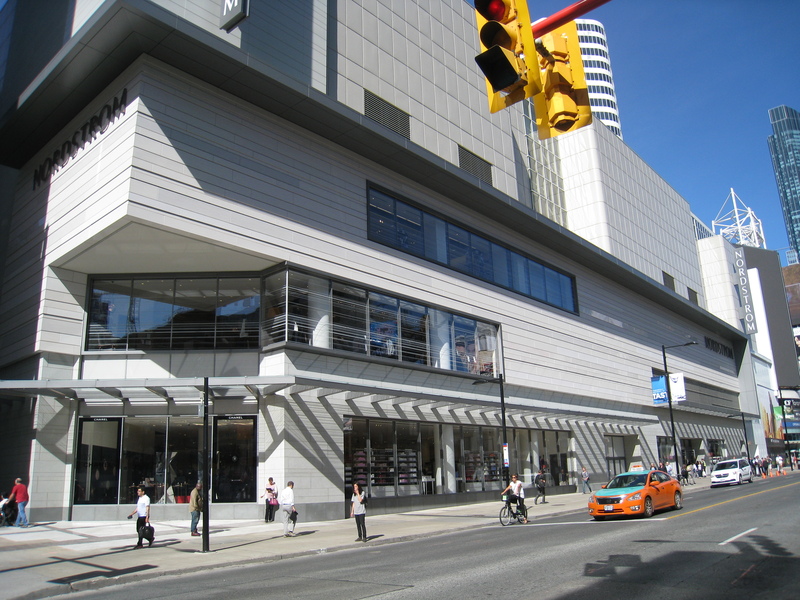 First it was Saks’ turn to hit Toronto at the CF Eaton Centre. Now it is Nordstrom’s. There is a difference between these stores in almost every way, but particularly in the little details that shoppers pick-up—without really searching for them. 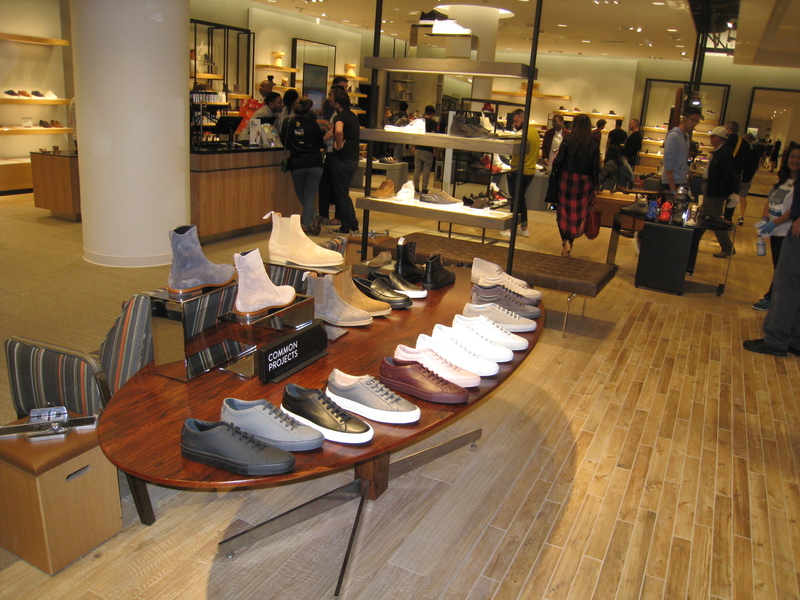 The following is a look at Nordstrom’s opening event. Nordstrom arrives with a big bang! Torontonians are loving it! So why is Nordstrom different? #1 Services! The following are certainly seen and are working. 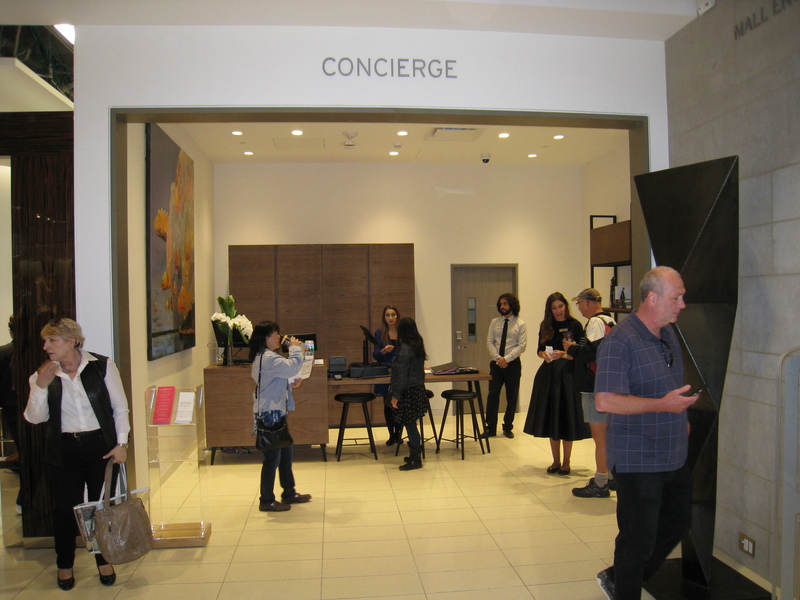 Concierge is not intimidating and (frankly) a bit underwhelming. 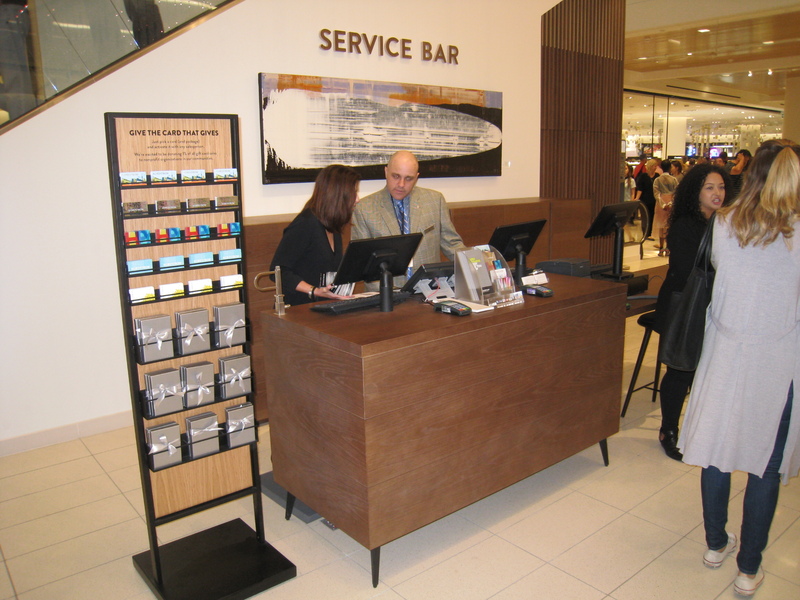 Service Bar for gift cards and questions. Mobile device charging stations are throughout the store — nice idea. 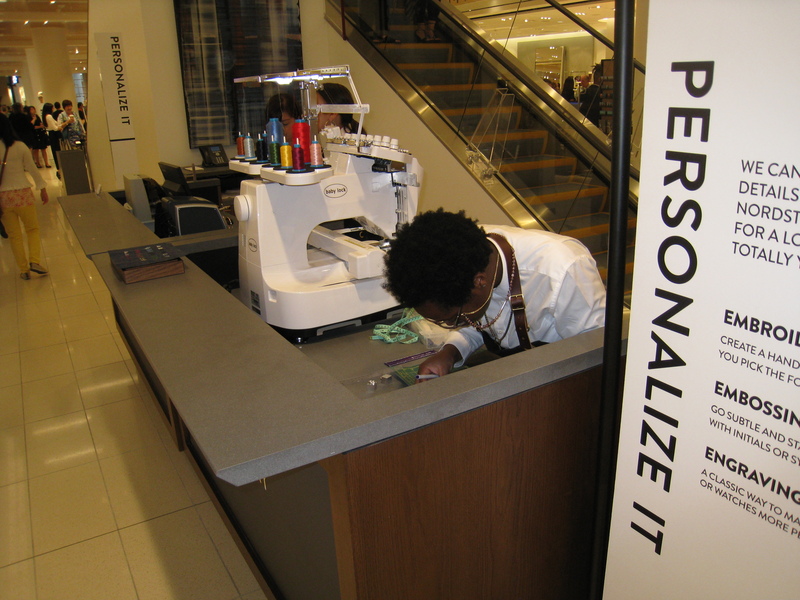 “Personalize It” service in accessories. OMG! The JWN Room is available for anyone to book their own private parties. What? 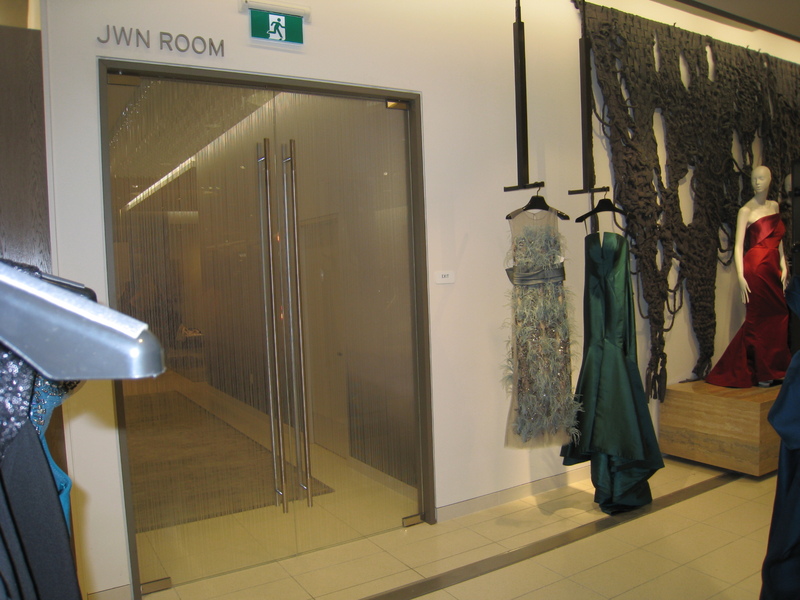 WOW!—and if you want to shop while inside the JWN Room, there happens to be several large fitting rooms available. So, not exclusive, but inclusive. The staff were great! Okay. Please pay attention. 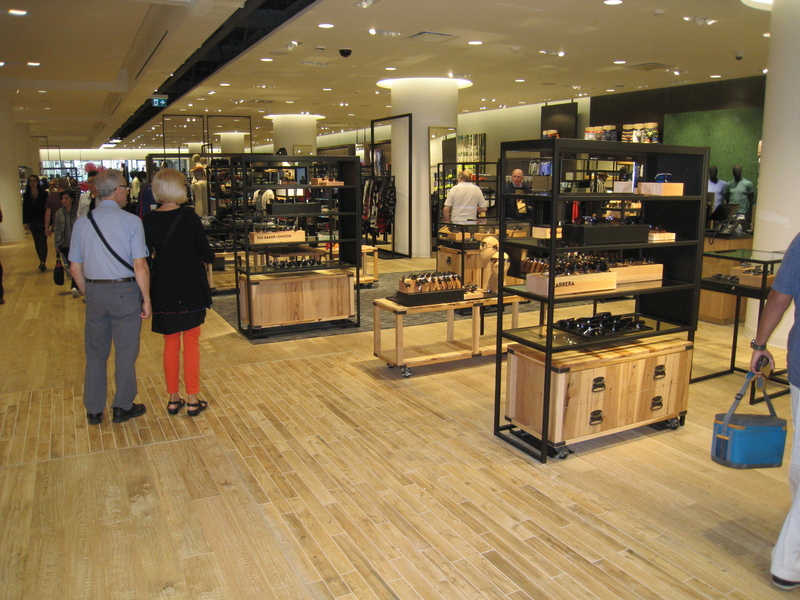 “Experience” is the new retail solution mantra. Right?! Food is the most experiential thing we enjoy (well, almost “the most”). 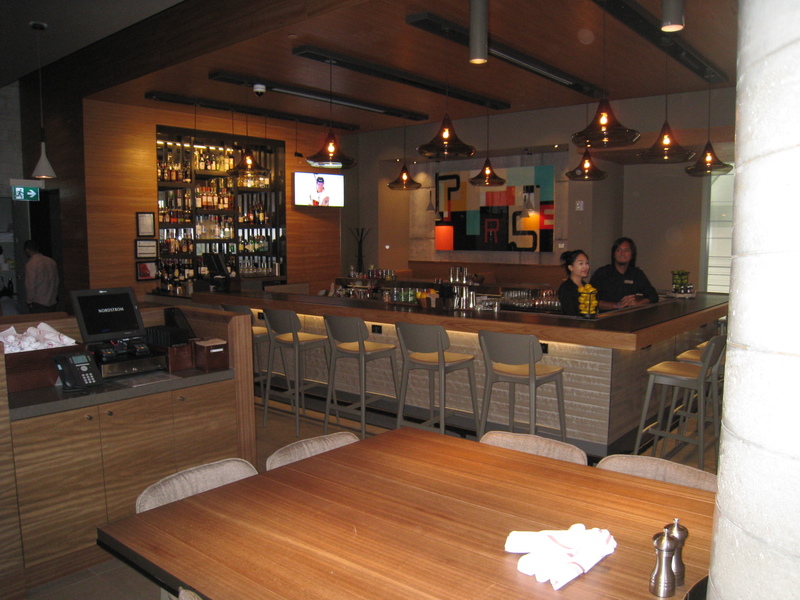 So retailers should (a) include food services, and (b) locate them in noticeable locations! 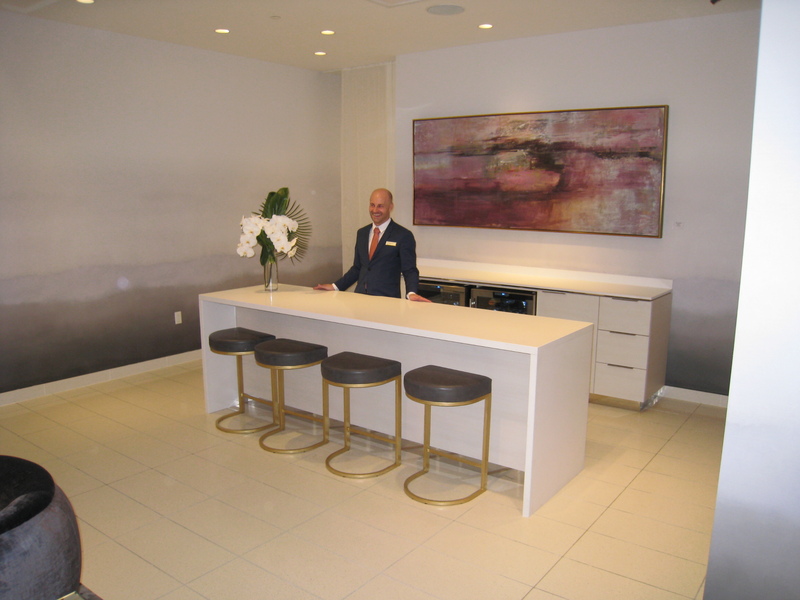 An Ebar at the entrance softens and welcomes the formal facade. 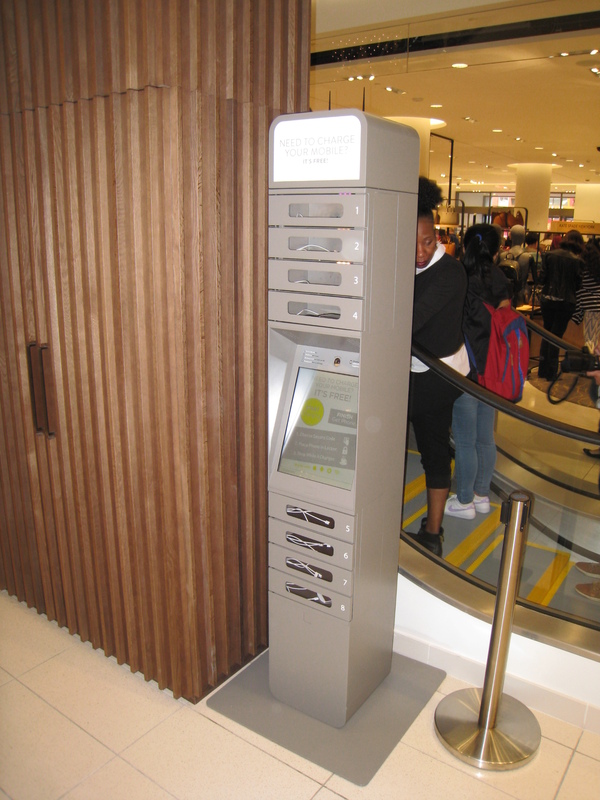 This is an old Nordstrom trick that is in most of their stores—so it must work. And this space is usually unproductive. 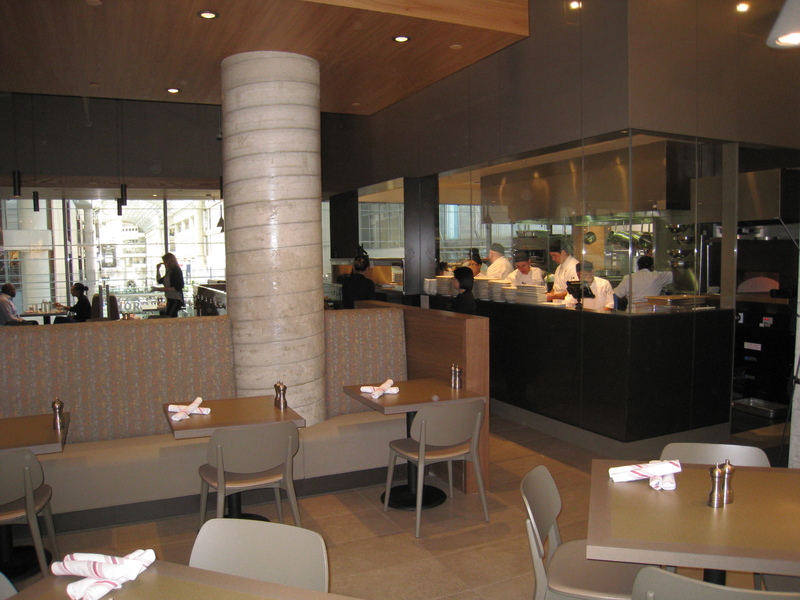 A drinks and snack bar in the centre of the Men’s floor and there is a a nice full-service restaurant on the Women’s floor that overlooks the CF Eaton Centre. They are awesome in footwear and in cosmetics. Their brand range extends from lux to upper-mid range, thus offering much more than Saks and appealing to a much wider market. They have a strong, but well-edited, private lable program. 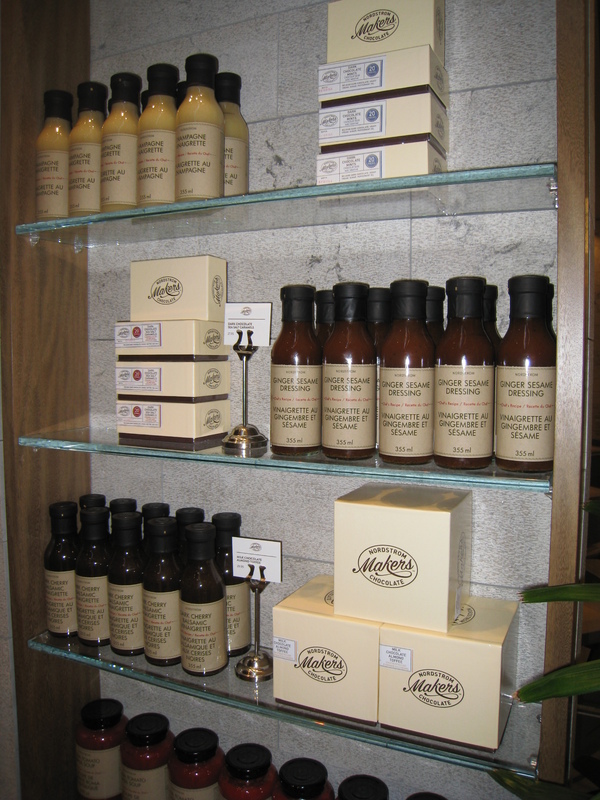 Their merchandise ranges extend into the “hip” at mid-range prices. Their visual merchandising is “approachable” and “welcoming.” Major departments have an enticing “accessory section” out front, which is an “affordable entrance” to the higher-end items further in. There are “nice little surprises” throughout the store, like “sugarfina—A Luxury Candy Boutique.” Don’t ask what I paid for a small box—but the bag was a head turner as I strolled throughout the mall. So there is a winning combination of a great location, merchandise, services, food services, brands, and special features. 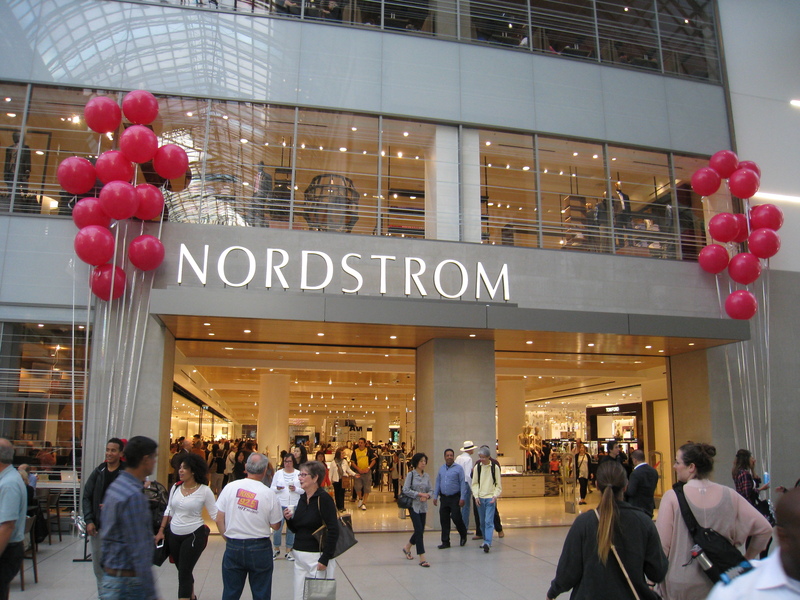 Nordstrom’s huge differentiator is the staff! Walking through a competitor a block south of Nordstrom—I am ignored. Browsing in Nordstrom, I am continually and warmly welcomed and offered assistance for my inquiries. 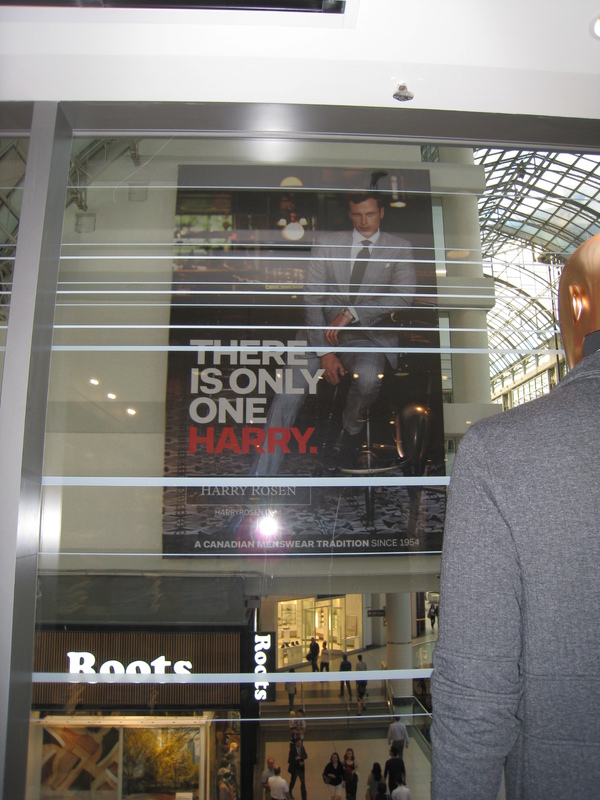 I crossed paths with Canada’s leading up-market menswear retailer checking out his new competitor. I think his observations are right on the money. “The store is great. 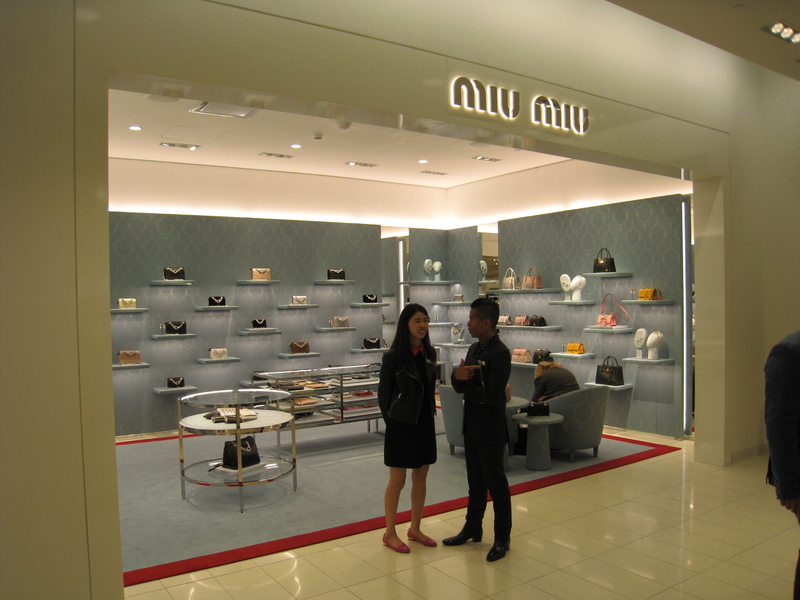 It has mass appeal beyond Saks. But our luxury market is not big in Canada—so Nordstrom will have to build its market share by taking customers away from others.” Oh yeah! Let the games begin! And Nordstrom brothers, don’t get too comfortable. Check outside your window to see who’s on to you!